In 2001, high school student Teddy Walker drops out of school when he finds himself unable to concentrate during a crucial test. Years later, in 2018, he works as a barbecue grill salesman while dating a wealthy woman named Lisa, having developed a careful financial strategy that allows him to maintain the illusion that he is better off than he actually is. However, his life falls apart just as he learns that he is going to inherit control of the store when the current manager retires. As he proposes to Lisa in the shop, Teddy accidentally triggers an explosion when a champagne cork pops open a gas tank, with the manager taking the insurance from the explosion and running away. 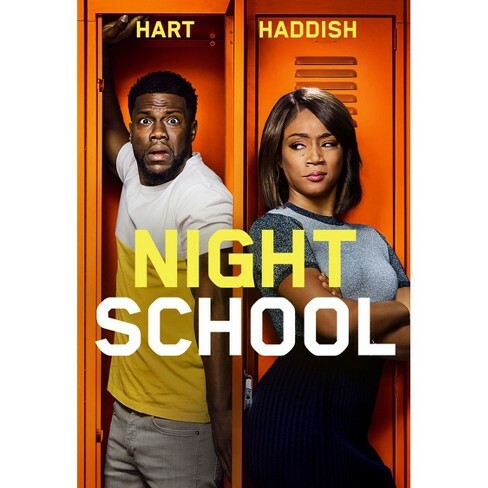 Starring Kevin Hart and Tiffany Haddish. The hubby and I watched it together and at the end we both thought it was cute. Yup, that was literally the word we used to describe it. It had a few really funny moments, but for the most part it was a very lighthearted comedy. Personally, I think Tiffany Haddish stole the limelight in this one. She was hilarious and kinda mean, but I liked that in this one. The hubby thought it would be a great family night movie, but only if your kids are a little older since there is mild swearing in it. **Compensation may be earned from the link within. A copy was provided to facilitate a review. Opinions are owned by Freda's Voice. I don't really have a favorite comedy movie. I want to see this movie because I like both these actors and from the previews and reviews it seems very funny. I am a huge Kevin Hart fan! He is hilarious! One of my favorite comedies is The Heat with Sandra Bullock and Melissa McCarthy. My favourite comedy of all time is National Lampoons Christmas Vacation. I want to win this movie because 2019 so far is horrible and I could use a small escape with some laughter thrown in. I would say There's Something About Mary. I want to see this movie,because the trailer had a couple of laughable moments.